Sometimes you want to “lock” content on your boards to make it easier to edit content in front. For example locking background image to easily draw and discuss on top of it. You can lock content under “Select” tool in Deekit. 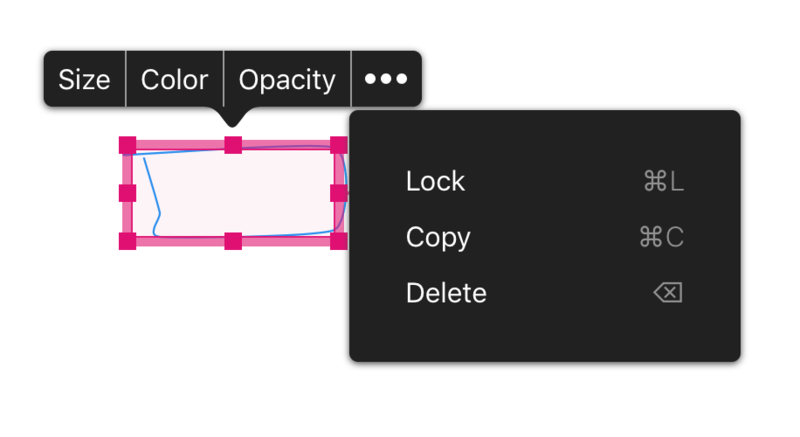 There you can also switch between different selectors – the basic default select tool and the one that selects also locked items. 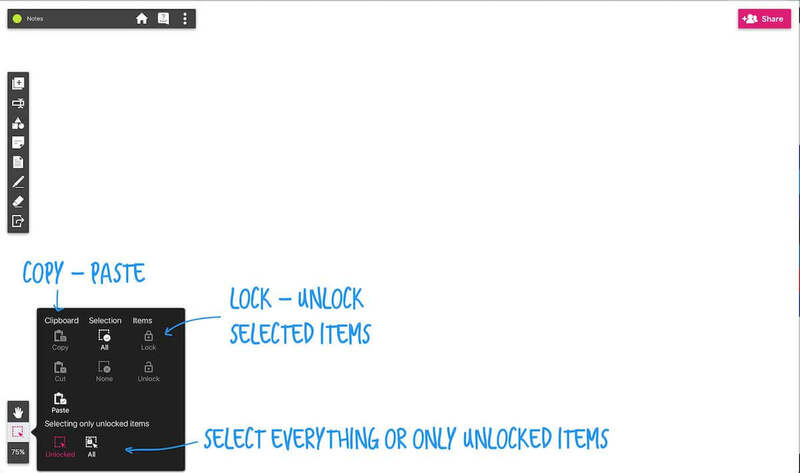 Select item(s) you want to lock. Hit the “Lock” or “Unlock”button. Alternatively, use “L” keyboard shortcut to lock an item selected or you can use the popover tools menu to lock and unlock selected items.